I’m not too sure where to start with this. It’s been a month and a half since the last entry in this little blog. It was not an entry I enjoyed writing either. Not to go over old ground, but Spellbound OUYA was no longer a going concern. There were several reasons for this, the majority of which I outlined in the last post, some of which, well, for fair means or foul, did not need airing. This post serves, in part, to reassert the fact that Spellbound OUYA is no longer an ongoing concern. The OUYA, a wonderful idea with huge potential and a (relatively) large catalogue of format specific games, apps and utilities, is still a dead duck. This is a shame, it’s a lovely little bit of kit and, when handled with gentle caresses and soft tickles can be coerced into housing some amazing ideas. We had hoped Spellbound OUYA would be one of these. It turns out that we were late to the party. Actually, I don’t think we really ever made sure we were free for the date of the party. There was no party. Spellbound OUYA is an ex-project. But isn’t it odd though, one door closes…..
You see, it isn’t impossible that there might actually be a version of Spellbound released for the OUYA. Still with the wonderful graphics and audio from Spellbound OUYA, still with the permission and assistance from the Lord of the Polygon Table himself, David Jones and still with me tying it all together with more spaghetti than your local Prezzo. Development has restarted. Development has re-begun. Spellbound OUYA is dead. Long live Spellbound. This entry was posted in Uncategorized on June 23, 2015 by Mike Hall. You may, or may not, have noticed a lack of activity on this blog for a number of months. I would love to tell you that we have been examining data, crash reports, feedback and general shouting about the beta of SpellboundOUYA which began late November 2014, coming up to 6 months ago now. I would also love to tell you that we have been working hard ironing out creases, upping difficulties, adding puzzles, freeing wizards and generally doing all the things a major software house likes to do before releasing the first build onto the deserving public. I would love to tell you, also. That SpellboundOUYA is currently sitting in the OUYA store awaiting the press of the big red button to give it the go live. Nothing would make me happier than to tell you all of the above and so much more positive news regarding the little masterpiece, destined to turn around the flagging fortunes of a rapidly expiring console. I would love that, but, of course, I can’t. SBO has been in a state of limbo (ironically) since the launch of the beta. Several issues have barred our way with the game and, although I am proud of what we achieved to get it to the playable, testable stage it currently lounges at, I am bitterly disappointed to officially announce the halt, possibly permanently, of development on this title. Many things have hampered the project’s completion, some are obvious, like the fact that, with each of us having full time jobs, families and other less game-centric commitments, there just stopped being time we could all work towards the final goal, and it was teamwork that kept the project alive, no one person stood alone at the helm. There was also the fact that the OUYA, the only console, indeed piece of hardware we had secured permission to develop for, has been kicking it’s legs in the air like a dying fly for month and months. Other reasons are not so obvious and need not be discussed here, suffice to say it was a difficult day when I explained to both Saul and David that I believed the end of the project was upon us, and not in the happy joy joy lets release the game kind of way we all wanted. So there you have it. It is over, certainly for the moment. I should thank a bunch of people for helping get the game as far as it stumbled. Obviously, I would not have got anywhere close to having such beautiful graphics and wonderful sounds as I was given if it were not for the assistance of Saul Cross. Saul is a magnificent talent and a pleasure to work with. The other member of the team, the Daddy of Magic Knight, the guy I owe not only the pleasure of officially working on a game involving one of my all time great gaming icons, but probably the pleasure of gaming itself to, Mr David Jones. In the wings are some guys I talk about on and off who have helped me in many many ways, John Ward of Karmatoad.co.uk, Rob Fearon of Retroremakes, takethismachine, Merseyremakes and, of course, Death Ray Manta fame, Scott, Andrew, Ian, Jeff and the rest of the guys at Retroremakes for the encouragement, testing and crashes, Philip Anderson for the amazing disassembly of the original 48k version of the game at http://community.dur.ac.uk/philip.anderson/disassemblies/spellbound-48k/ and, of course, my beautiful wife,Ginnette and daughters Kim and Zoe for sticking with me with patience, love and an endless supply of Lady Grey Tea. It was very much needed. I guess I should apologise, even now, 3 months after deciding that there was little point coding any more Spellbound, I am gutted that I – WE – couldn’t finish the game. I am sorry. Spellbound is still available to download on the ax spectrum for free, legally, with David’s permission at the World of Spectrum archives. Once the forum is back up and running then head on over and perhaps chat with David yourself about his upcoming Finders Keepers Plus game. Keep the little metal knight alive people. This entry was posted in Uncategorized on May 7, 2015 by Mike Hall. 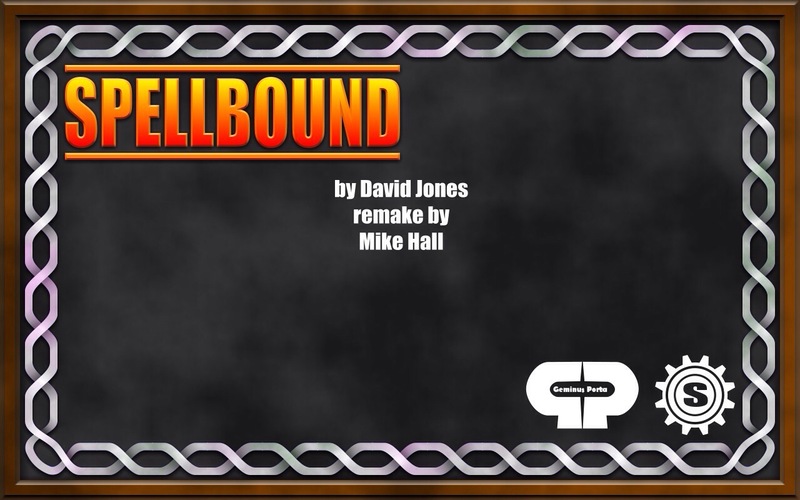 It has been well over a year since we began work on bringing David Jones’s classic 8-bit title ‘Spellbound’ to the OUYA console. A massive amount of work has been done by the team to get the game this far and we are now proud to be able to announce the release of the very first Public Beta. A year does seem an awfully long time to have spent on the game, but just seeing it run on the machine makes every single line of code, every single pixel placed and every single idea thrown between David, Saul and I worth while. You can find out how to take part in the beta down the South end of this post, if you are keen, go there now. Go on. If you want to find out a bit more about the beta, how it started, how it managed to get this far and where we are going from here, as well as some info about what to expect in the beta, including what data we steal from you (although, spoiler, it’s not much at all…. ), then it would be best to read on. I’ll try to keep it brief, although I’m not known for brevity…..
Spellbound OUYA has been in existence, in one form or another, for around a year or so. It has gone through a number of changes, visually, technically and conceptually over this time, but at its heart it has always been Spellbound. The pre-history of Spellbound OUYA is dull. It dates back to 2008 when I first tried getting in touch with David (unsuccessfully) regarding using Magic Knight and a few other characters from the MK universe in a new game named Underlord. This was a new Magic Knight game that was to take place after Stormbringer. The game was completed but not being able to find anyone to make it look pretty or sound great, and not having David’s permission, the game went no further than a few friends and fizzled out. I did warn you this was dull. Fast forward to 2013 and, at a loss, I decided to look back at my Underlord code and see what I could do with it. Not much, it turns out, still no graphics and audio and still no permission. But looking at the code, and having seen Scottige’s fantastic Finders Keepers remake I thought I might have a go at a project that I had been considering since starting to remake games. Spellbound. 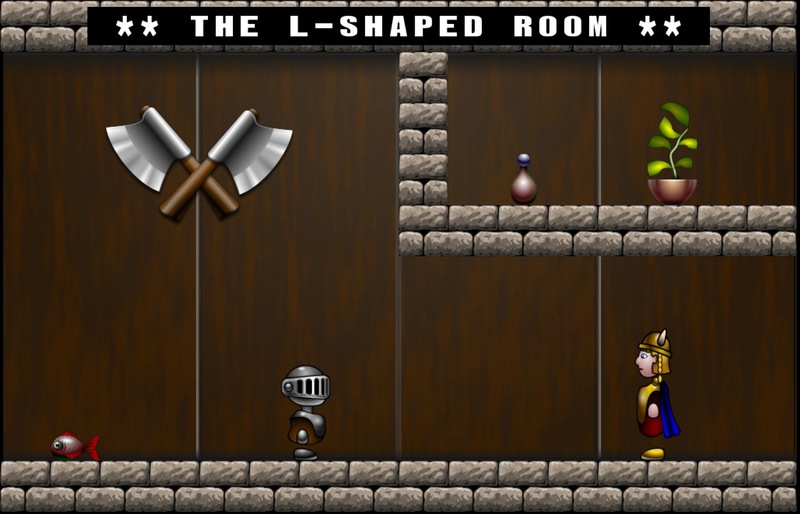 The instant I mentioned it on the Retro Remakes forum I had two offers for graphics for it. This had never happened before for any of my games. In a tiz, I chatted with the first chap who had messaged me, Saul Cross, and the project was born. Spellbound remake (PC and Mac) was in development for 6 months. The plan was to do a complete and accurate remake of the Spectrum 48 / 128k games and be done with it. In September 2013 two things happened simultaneously. The first was that the lovely chaps at OUYA saw what I was doing with the remake and shipped me an OUYA to play with, which was lovely. The second was that a certain David Jones appeared out of nowhere and began posting on the World of Spectrum forums. After getting all the fanboy stuff out of the way early, I approached David with thoughts of getting Spellbound Remake authorised. Instead, after much discussion and emailing to and fro, it was agreed that, instead of a PC remake, we would create an official OUYA port. We have been working together as a trio on the project ever since. There. Dull bit over and done with. The beta is the culmination of months of planning, coding, drawing, composing, recoding and testing. There has been a lot of testing. So, how do you play it then? Patience. Or go to the bottom, although, I assure you, the rest of the post is more interesting and important than the guff above. You need to know certain things about the beta. I guess the most important thing is that we are watching you. Don’t worry, it’s not as creepy as it sounds. Flurry Analytics is running in the game. It’s there to track crashes. Nothing nasty, we collect no personal data at all, all I am really interested in is crash reports. We do get, as a byproduct of this, session details. Times played, length of time played, your geographical location (down to your country I think) and other analytical stuff. No emails, names, user names, passwords, credit details or anything suspicious is gathered. The data collected is used only to improve the game. Actually, we do collect whether you play the 48k or the 128k map…. That’s it though. Promise. Another important point is that the game assumes you know what you are doing. The instructions aren’t particularly helpful, but it should all be fairly self explanatory. The full game will be much better documented. If in doubt, you can always get me on the Retro remakes forum or leave a comment on this post. The game is not completable. I should warn you that now. Save games are in and working but I can’t guarantee compatibility with newer versions of the beta. I can guarantee save games in the beta will not work in the full game. It should go without saying that this game will crash. Not all the time, not even often, but if you play it long enough it will. That’s the point of a beta. I have tried my hardest to crash the game in new and interesting ways but I can’t. It’s down to you guys. This game will NOT work on an Android phone. Try it if you like. It just won’t. You need an OUYA. A working one preferably, one connected to the Internet if possible. It’s not been tested with anything but an official OUYA controller. If you want to chat about the beta, report a bug or give feedback, the best place to go is here I’m known as Spraydough in those parts. You can also tweet me @Spraydough. Use the hashtag #SBOBeta if you want, I do. It can be side loaded onto your OUYA or downloaded directly and installed from you downloads folder. Please play, please leave feedback and, most of all, please enjoy Spellbound OUYA. This entry was posted in OUYA, Spellbound and tagged beta, finally, OUYA, spellbound on November 29, 2014 by Mike Hall. Spellbound OUYA is ticking along nicely. It really is. With each new development build we see great steps. Recently, for example, we have gone from static NPCs to Saul’s wonderful new animated characters. At David’s suggestion, we have implemented new features like the map, new character interactions and better ways to keeps spoilers unspoiled. From my point of view there are some visual effects like a reflecting mirror and, for those who remember the Spectrum original, spell casting and lift moving effects, of which I am particularly happy. These go with new visuals, interesting uses of the OUYA controller, new audio tracks and much much more. It’s a labour of love, it really is, and it’s something I have personally, been very proud and honoured to be a part of. Up until now, however, very few people have actually seen the game running. Yes, there was the teaser video, sure, yes, I’ve taken it to a few game developer meets to show it off and, almost unanimously, reception has been very positive. We want reception to be very positive. We like positive. 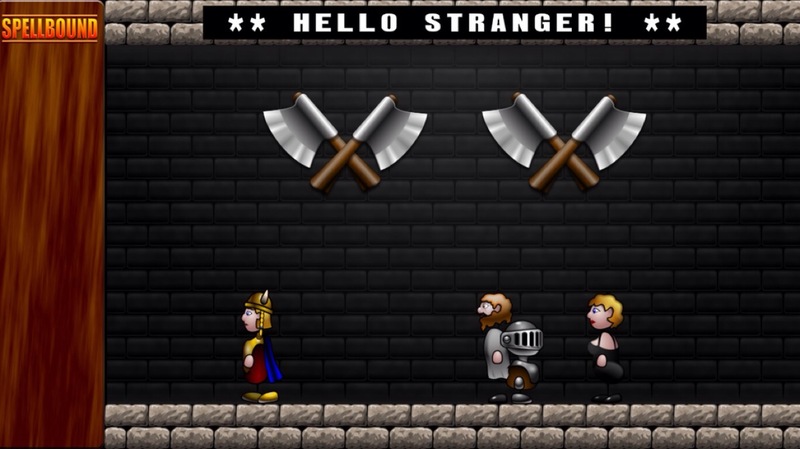 I play the game almost daily in whatever state it’s currently in, Saul and David receive copies and there are a few chaps out in internet land who have been play testing it on and off for months. Up until now this has been more than sufficient. We get bug reports and feedback and act on it, release a new version, rinse and repeat. I love the fact that we have people willing to side load on to their OUYA, give the game a quick half an hour or so and then, mostly, tell us how it’s broken. I am never really happy until someone tells me something is broken. I like broken almost as much as I like positive. It’s an odd concept, I know, but people breaking things in different ways during a small closed Alpha means that, eventually, when we are ready for a larger Beta release most of the little niggles will be gone. Slowly but surely, bug reports have dropped. Don’t jump the gun here, there is still a massive amount of content to go into the game, but I believe we are almost* ready for more people to break more things. Our next big step is to get the game ready for a…. Wait for it…. Public Beta. You heard me. If you have read this far then I can only assume you are, in some way interested in obtaining a copy of the game at some point. How about soon? Not now, but soon. If all goes according to plan, before the end of June** soon. If you are interested in beta testing Spellbound OUYA all you need is, well, an OUYA. It needs to be a working one. I shouldn’t have needed to say that, but covering my own back in an ‘OUYA not included’ way is always useful…. No strings, no demands of money up front, no demands of money on release, no hassles, all we ask is that you let us know. That’s not even a demand either. We’ll ask nicely though. If you want to play, either drop me a comment below or tweet me @Spraydough using the snappily catchy #SBOUYABeta and you are in. That’s it. We look forward to seeing you in Betaland soon. *’Almost’ is not in any way a binding term. **’Before the end of June’ is even less binding, but there is a good chance. 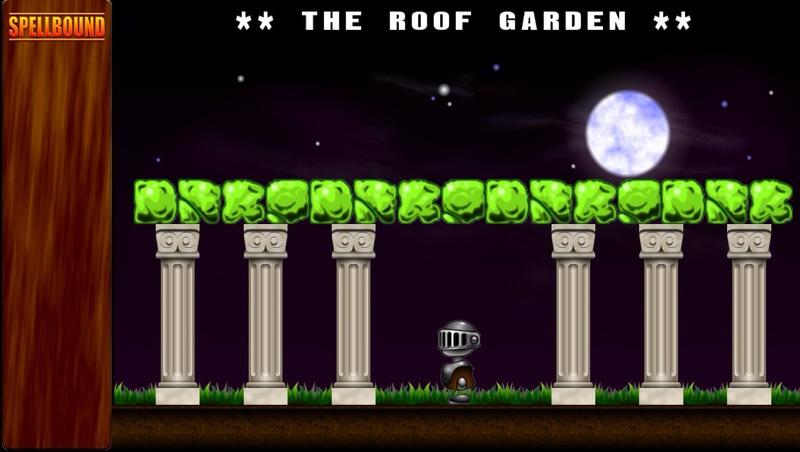 This entry was posted in Beta, OUYA, Spellbound and tagged #SBOUYABeta on May 21, 2014 by Mike Hall. Spellbound OUYA is just over 6 months old. I started talking to David about a Spellbound remake back at the start of September 13 and we agreed to move ahead and begin work on an OUYA port on the 26th. By my maths that’s 6 months and a week or so. Development on the game seems to run in fits and starts. The same time and effort is being put in on a weekly and, often daily basis but at certain points in the last half a year the game has lept forward. At other points it seems little to no progress is made. I know it IS made, but to just look at the game you might not see a difference from one week to the next. I’m pleased to say that, right now, all the little things I’m putting in are making a massive difference to the look and feel of the game. One of the big selling points to launching on the OUYA, for me at least, was the controller. Yes, I know, you can use a controller with anything nowadays. But the OUYA controller is something I can talk to easily, I can play with on the fly. I can control. When David and I chatted initially about a port of Spellbound to a more modern machine, one of our main aims was to ensure we kept the gameplay of the original game, but modernised it to a point where not only us oldies who wanted a nostalgia trip would happily sit in front of it for a few hours, but where more casual gamers could dip in and play. We wanted to open it up to anyone who wanted to give it a go. One of the obvious things that came to mind was to simplify the Windimation system. Now don’t get me wrong. I love Windimation. 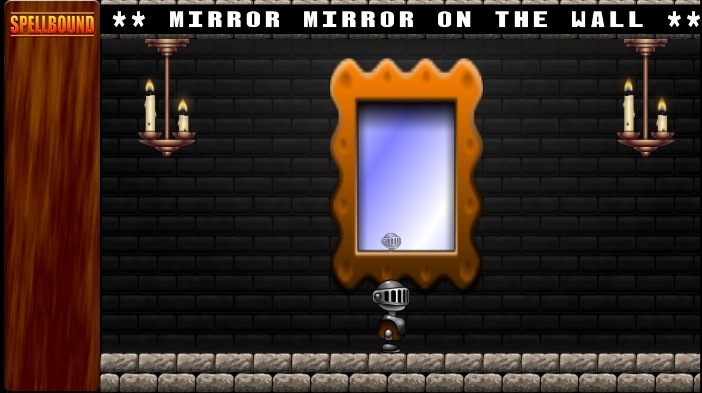 I think it is the perfect input system for the Magic Knight games. I wouldn’t change it for the world. And I haven’t. Windimation is here and it’s here to stay. But I know also that it isn’t everyone’s cup of tea. Enter (stage left) my love for a controllable controller. One of the new features in Spellbound OUYA is the ability to bypass Windimation for some of the more frequently used commands. Pick Up and Drop are the obvious ones, but it could be anything from the main menu. 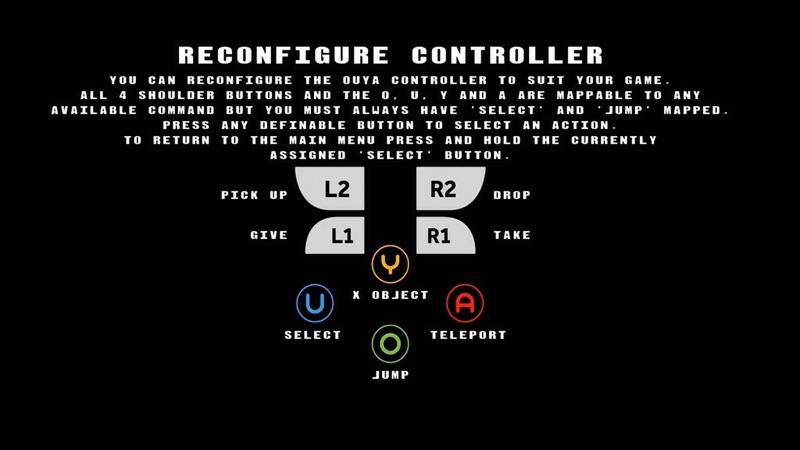 I have had Pick Up working instantly in the dev builds for months now, but was never quite sure where to allocate it on the controller, I mean, after Jump and Select, there are still 6 useable buttons available, and what should I stick on the other 5 spare buttons? Yep, you choose. As long as you have a Jump and Select button mapped the rest are yours to do with as you please. You can also move the Jump and Select button to any of the available buttons. Your game. Your way. And to celebrate, a couple of screenshots of some work in progress 128k map locations. 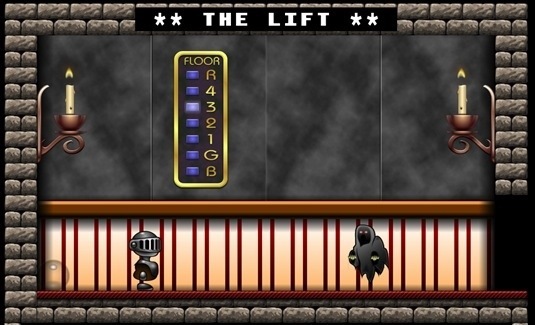 This entry was posted in Dev Blog, OUYA, Spellbound on April 1, 2014 by Mike Hall. One of the most interesting and unexpectedly pleasing things in the life of a coder is to have a perfectly good, working piece of code that’s sat in the source for months on end, doing its job more than sufficiently and causing no problems whatsoever and to suddenly see why it’s just not good enough. My reset game code for Spellbound was great. Really, it was just dandy. Now, after a week of writing and rewriting the code, it’s not only nice, faster and better documented*, but now it forms the basis of the fully working save / load game feature, one of the key headaches I faced when considering how we could bring Spellbound to a new platform. Yes, it was obvious that I should have made it work this way from the off, but then I wouldn’t have had the big smile on my face right now would I? I should thank John, the iOS side of Geminus Porta, for kicking me hard enough to see the solution. I do love it when code is gutted instead of me! *This last statement may not be true. It’s not worse documented though. This entry was posted in Uncategorized on March 11, 2014 by Mike Hall. Once upon a time games were hard. I don’t want you to think that this is one of those ‘when I was your age’ granny conversations. There are no rose tinted specs on this ugly face. This is a fact. I shall reiterate. If you speak to anyone from back in the day they’ll tell you too. Games used to be hard. Once upon a time. This is not, by the was, a criticism. The very reason we played games was because they were hard. Alright, and the fact that your dad’s best mate had a twin deck tape recorder, that was a good reason too, but mainly because we wanted to get just one level further. Just one maze more. The high score table proved who was king and didn’t we know it. I once lost a very good friend over a game of Double Dragon because we ran out of 10p pieces and I’d lost the last life. Alright, I know that most games these days are hard, but only if you want them to be. Turn on Skyrim, go on, do it. I’ll wait. Now, go find a Giant. They are everywhere, go on find one. Now kill it. Oh, save first. Too late? It’s ok, you might have lost 5 minutes, but you’re back where you were aren’t you? Go do it again. Remember to save this time, I don’t have all day! It’s a right nasty thing is your Skyrim Giant. But you know what, you’ll beat it. It’ll be difficult, but you’ll get there in the end. Still struggling? Go into the options, there’ll be something in there about turning the difficult down. I’ll eat my hat if there’s not. That’s not hard. It’s just repetitively niggly. Now go find your favourite Spectrum emulator and load up Spellbound. I can’t guarantee it, but it might just be quicker than loading the bleedin’ PS3 version of Skyrim! Good, sort out your controls and start a game. Nice, you’re in The Start Room. Super dooper. Now go left. Say hi to Florin for me and go left again. Jump those steps. You can do it. And down the other side. Left again…. Oops! Ok, you are only three screens in, but that’s Instadeath right there for you. Spellbound was full of these. Welcome to The Gas Room…. the Big Bottle…. Go on, try to jump that pit. Hell, just wander around for a little while, I can guarantee that you’ll get somewhere interesting looking and then just…. Die. Not only do you die, but you DIE. Game Over. Gone. Want another chance? No problems, just do everything you did again only, don’t do it wrong this time. Back then this was no big thing. It taught you a lesson, go find Elrand and feed him you fool. Keep Rosmar happy! Never ever take THAT away from HIM….. These days though, I really don’t think we’d get away with it. It’s a sad state of affairs I know, but modern gamers just don’t want Instadeath. I dislike the term ‘modern gamers’ by the way, but it works here. 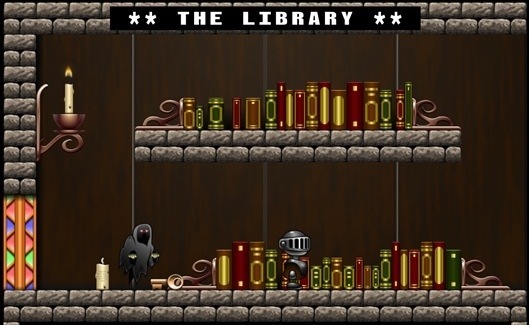 Spellbound OUYA aims to be as user friendly as it possibly can be. You don’t want Instadeath? That’s fine, you can turn that off. NPCs that feed themselves? 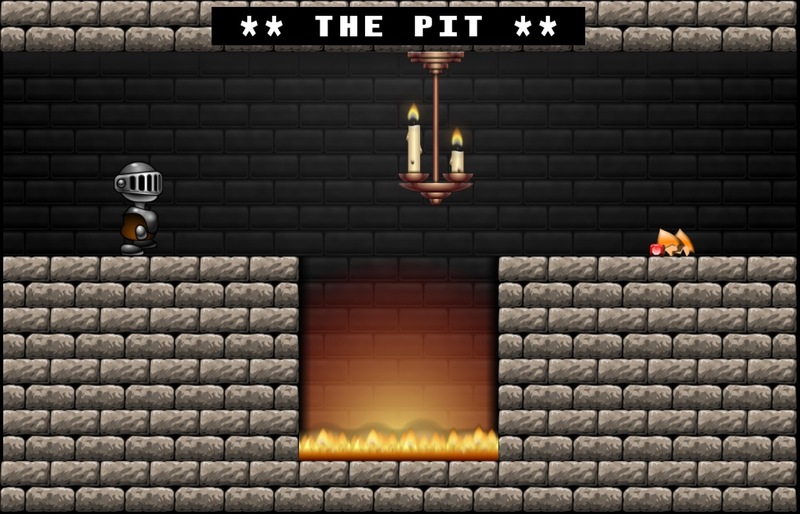 Well, if you so desire… A pit you can bounce out of? Actually, no, if someone is stupid enough to jump in the pit then they deserve everything they get, but you see the point. Spellbound OUYA is customisable. You play the game you want to play. You play the map you want to play. You play the difficulty you want to play. Just don’t ask me for a hand holding tutorial section. I ain’t that nice! This entry was posted in Dev Blog, OUYA, Spellbound and tagged instadeath, options on February 2, 2014 by Mike Hall. For those amongst you who don’t follow me on twitter (@Spraydough) or haven’t been party to any of the forums I frequent, first off, how did you get here? Seriously, I’d love to know… Secondly, assuming you are here about Spellbound you might want to take a sneaky peek at the new gameplay video. It does little else than show that we really are working on getting the game to an OUYA near you, but we think it looks nice. The video is taken from our latest development build and much may change in the time that will pass before the game is released, but what you can see is that we are heading in the right direction. There will be a new feel to the game, that’s for sure, new graphics and audio are going to do that, there will be the chance to change the game to suit you, the difficulty you want to play at and the availability of new content if you so desire it will be there. There will be a choice of classic Spellbound maps. Yes, it might feel… Different. But only if you want it to. At its heart, Spellbound will still be Spellbound. I hope this small scratch of visual delight will help us hammer that home. 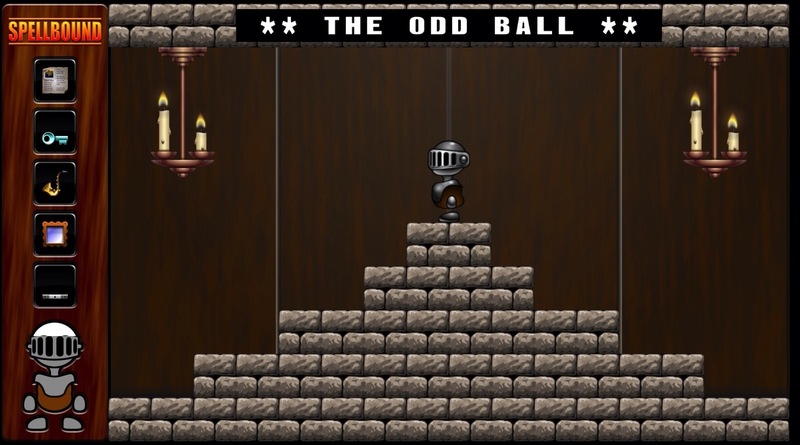 This entry was posted in OUYA, Spellbound and tagged gameplay, video on January 26, 2014 by Mike Hall. Geminus Porta is proud to announce that it is now the new home for Spellbound OUYA. Mike Hall (development), who has been working on the project since September 2013, will continue developing the game under the Geminus Porta logo. The development team of Saul Cross (graphics / audio) and Magic Knight creator David Jones (gameplay supervision / new content / archival reference) will continue to play their vital roles in this project. Spellbound OUYA strives to bring all the fun and entertainment of a massively successful 8 bit computer game and update it for release on the superb new Android based console, the OUYA. It will contain not only fully playable modernised remakes of both the 48k and 128k ZX Spectrum releases, but will also feature new modes, including an enhanced game with new puzzles, spells, objects and more (created by original Spellbound author David Jones). All versions of the game will take advantage of beautiful new artwork and audio tracks (by Saul Cross) as well as a host of new sound effects and OUYA controller interaction. Gameplay will remain as close to the original game as possible, although some improvements have been made to the interface. Windimation, at the time a cutting edge menu system, remains virtually unchanged. The game map layouts for the 48k and 128k original modes are near identical copies of the originals and the spell and NPC interaction features will feel very familiar to veteran players. handled both on the OUYA d-pad and in the main Windimation menu system. 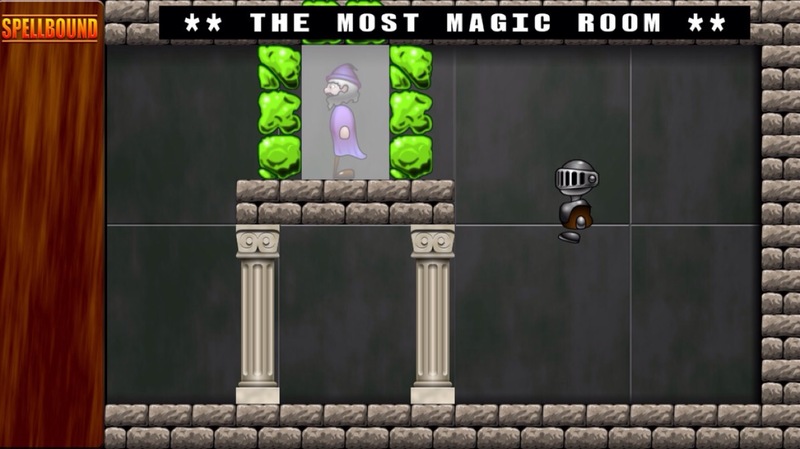 Magic Knight, Spellbound the game and all associated characters and gameplay features are used with kind permission of and remain copyright David Jones. 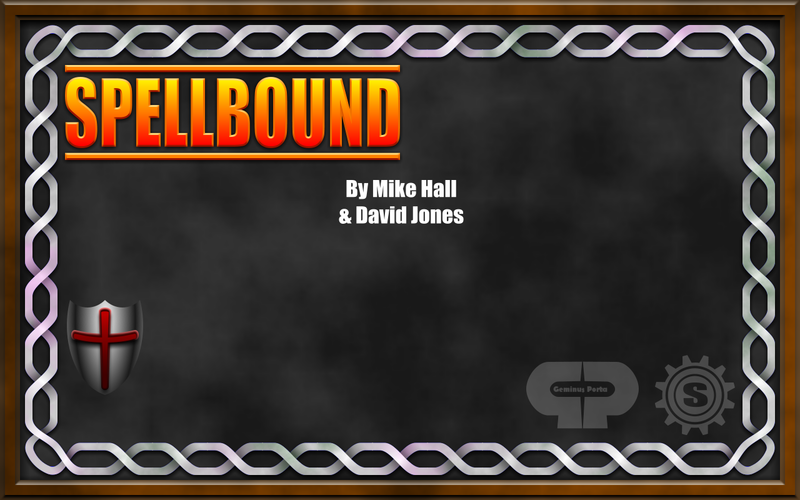 This entry was posted in OUYA, Spellbound and tagged SpellboundOUYA on December 30, 2013 by Mike Hall. Mike Hall on Project Announcement: Spellbound OUYA. Steven on Project Announcement: Spellbound OUYA.